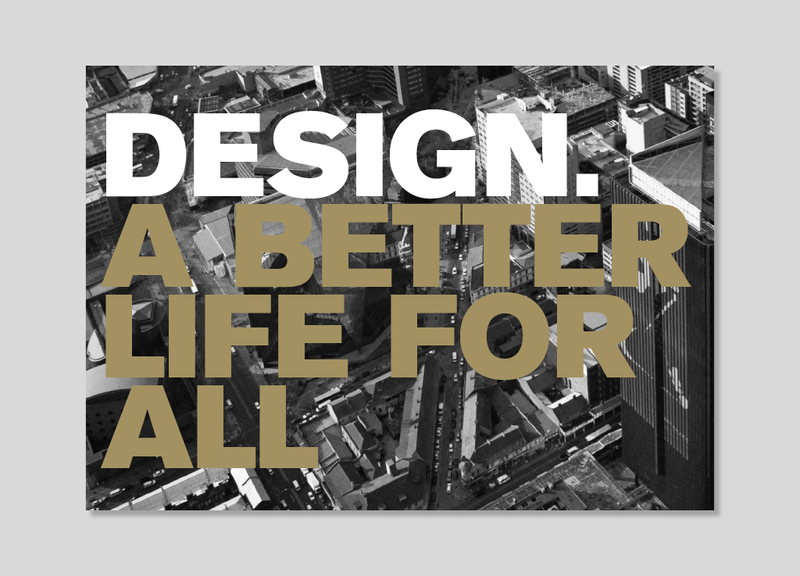 The City produced an exhibition leaflet for DESIGNING_SOUTHAFRICA’s exhibition A Nation Under Construction at the London Architecture Festival. The poster image is an abstraction of Andrew Bell’s photograph for Litshe le Golide. DESIGN. A BETTER LIFE FOR ALL was inspired by the chapter written by Henning Rasmuss for the Reflections & Opportunities book.